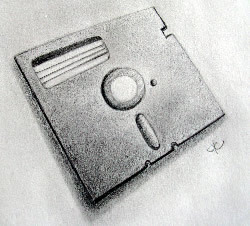 floppy disk pencil drawing by holly croydon thanks, holly! we have crafted a dance! (for our friends)! 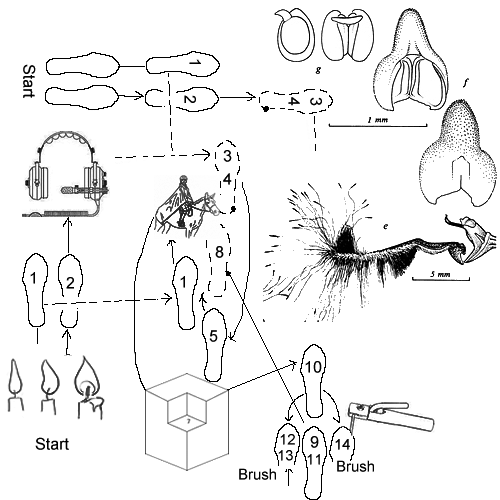 yes it is complex, but it requires almost no "skill" to execute. after all we ourselves have at least 3 left feet, and no more than eleven thumbs. but we find that - even with such third-rate physical coordination - the right rhythms can coax from us a psychic samba, a philosophical foxtrot. ours is one of those! please find below the steps & pattern. 0 Backward and forward. To the Left, Forward, to the Right, Back. 3 Twice Again More Slowly Than You Expect Stop. 4 Still, As If the Moment of Movement Has Already Passed Consider all possible negative side-effects of beginning a compost in your closet. Weigh them against the innumerable benefits. We think you will find you have made the right decision. 5 NOW You are too late! 6 Slowly, sadly Quickly and happily kick left, then right, then left (as if gravely ill).